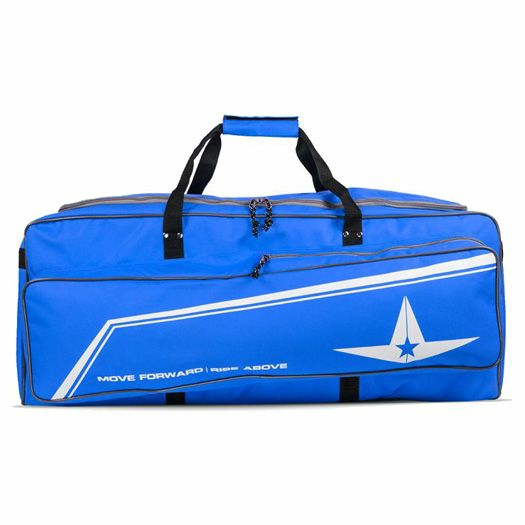 Considered to be a favorite among catcher’s, the All-Star Pro Deluxe Catcher’s Duffle Bag has been reengineered for even more durability and space to keep every catcher’s essential things safe within its walls. 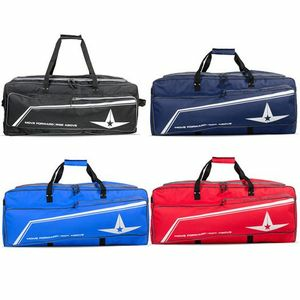 With five inner compartments inside its main pocket to help organize every major piece of equipment a catcher has, its outer compartment can also hold up to five bats at any given time, making this duffle bag the ultimate carrier. 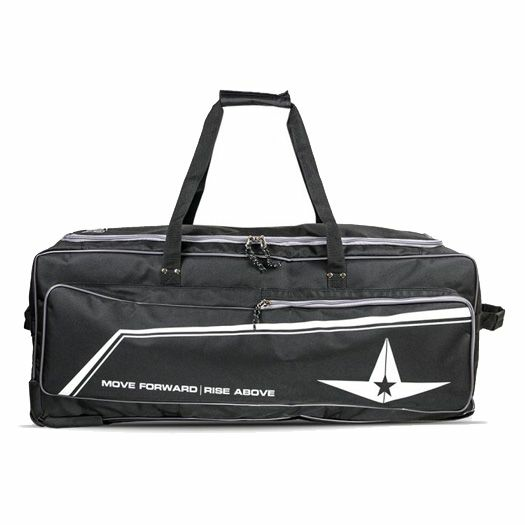 With reinforced zippers for more durability and a shoulder strap that makes the bag easy to carry to and from every field, the All-Star Pro Deluxe Catcher’s Duffle Bag has been given a major upgrade for the new season, an upgrade that will attract the eye of every catcher who sees its greatness. 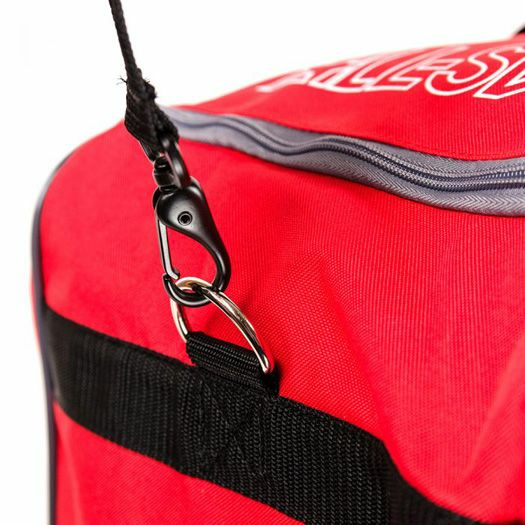 -	5 Inner Compartments: help organize helmet, accessories, gloves, shoes and complete gear set. 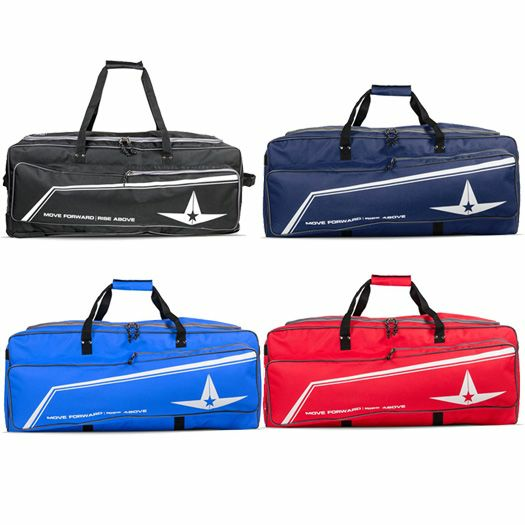 -	Colors: red, navy royal and black.